A native Montrealer, Carolyn attended Sheridan College in Toronto where she studied illustration. Focusing on children’s book illustration, she developed her own distinctive style. Upon graduation, she received the Clark Book Award – presented for outstanding achievement – from fellow alumni Brenda Clark, illustrator of the Franklin the Turtle series. She has also been recognized by Applied Arts Magazine for her illustration work. 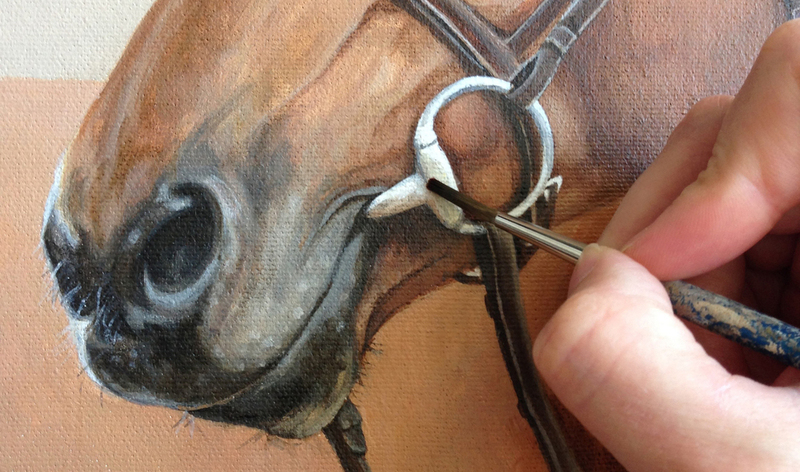 Her passion for horses has long since been a driving force behind her art. Going full circle, back to her love of drawing animals as a child, Carolyn added custom horse, dog and cat portraits to her repertoire. An avid equestrian, she currently resides in Ottawa and competes on the hunter/jumper A-Circuit.